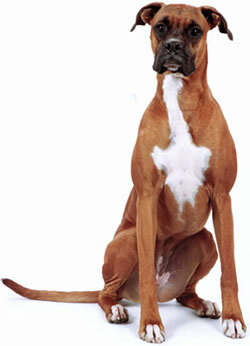 Dr. Jyl provides the best care to Dogs, Cats, Farm Animals, Exotic Animals and all sorts of other pets. She also treats birds, ferrets, chinchillas, guinea pigs, hamsters, rats and mice, hedgehogs, sugar gliders, small mammals, primates, carnivores, reptiles including snakes, turtles and amphibians. 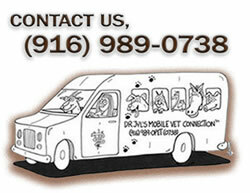 Dr Jyl offers a full service Veterinary Hospital in Orangevale, along with a state of the art Mobile Veterinary Service. She also contributes to the Veterinary After Rescue Kare (V.A.R.K) program to help pets in need. Dr. Jyl's Veterinary Hospital is set in a country clinic atmosphere that is both professional and pleasant. 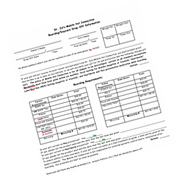 We add new information and videos to our site every week to help keep your pets healthy. Check out our Services, Wellness and Videos pages to learn more about how Dr. Jyl and her staff can help your pets live the healthiest, happiest life possible. Dr. Jyl has a special approach to practicing veterinary medicine. 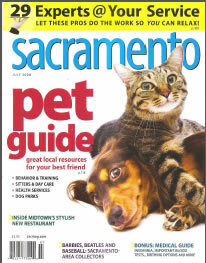 She takes time to inform and educate clients about their pet's health conditions and treatment options. This approach has consistently led to a higher overall quality of care, pet health and happiness. 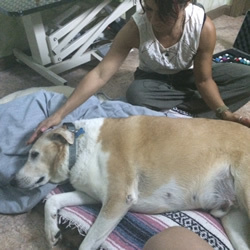 Along with offering a personal, comforting touch to your "family", Dr. Jyl is dedicated to educating and enhancing the relationship between people and animals. In the community, Dr. Jyl provides Educational enrichment lectures and live animal demonstrations. Schools, senior groups and many organizations have benefited from these valuable information services. Browse around this site to learn more about what educational opportunities Dr. Jyl's Mobile Vet Connection can provide. Dr. Jyl has also developed skin care products for pets, one of which is, Dr. Schmedley's™ Sol Screen Pet Sunscreen to protect pets with sensitive skin from the sun's harsh rays as well as protecting pets from insects. It is made with natural organic ingredients with no toxic chemicals. See PetnPeopl for more information.